Although we are still under the impressions from the 2nd March for Animals which we organized in December last year, we have moved the March to warmer days and months. 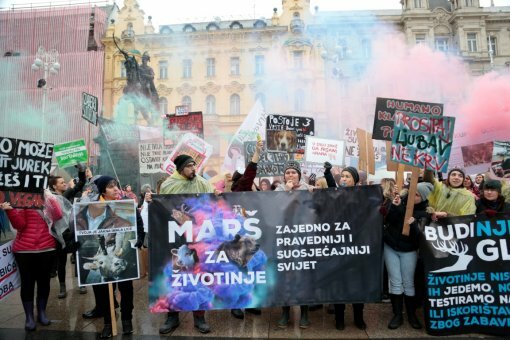 From now on the Croatian March for Animals will take place in April!  Save the date April 13 in your calendar. Put your winter coats in your closet and come out to the streets with the coolest protest sign, with the most positive energy and the most determined steps toward a more righteous world.  Get your vocal cords ready too, as the 3rd March for Animals will be the loudest and biggest so far! 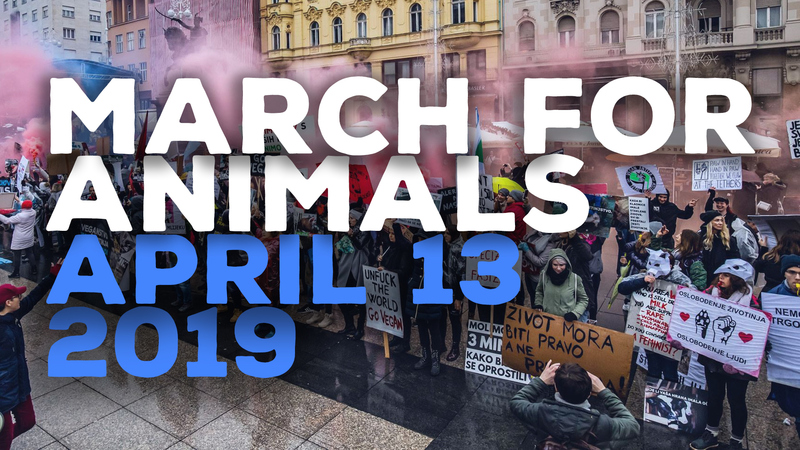 ... join the big procession of the 3rd March for Animals on April 13 at 11 A.M.! We are gathering at King Tomislav Square as usual. See you!